There’s no denying that many classic albums have classic album covers. Think of Crosby, Stills & Nash sitting on a couch on their debut album. Or The Doors looking out the window of the Morrison Hotel. Or the handsome young James Taylor on the cover of Sweet Baby James. It turns out that the same photographer, Henry Diltz, took those and many, many other album cover photos over the years, along with thousands upon thousands of candid and action shots of musicians in places like Laurel Canyon and at Woodstock. 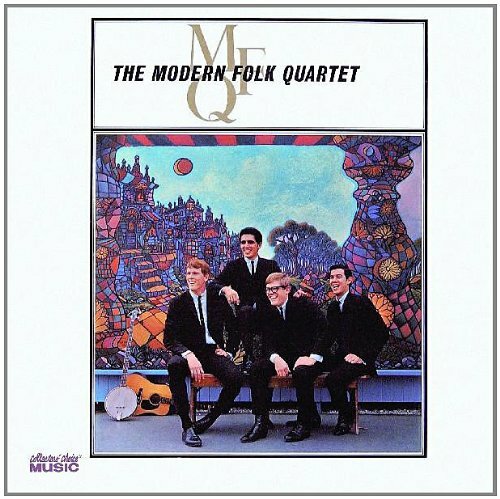 Diltz was also a member of the Modern Folk Quartet. Jeff Moehlis: What can people look forward to at the upcoming Behind The Lens event at the Lobero Theatre? Henry Diltz: Our Behind the Lens event at the Lobero Theater is made up of two slide shows. I go first and Pattie follows after an intermission. My pictures are mainly from the 60’s and 70’s in L.A. and Laurel Canyon where so many singer/songwriters were living at the time. Pattie will show pictures she took of George Harrison, the Beatles, Eric Clapton and herself as young model. Of course we both tell the stories behind each photo. JM: When and where did you first meet Pattie Boyd? HD: I met Pattie about 6 years ago when she had a showing of her photographs at a gallery in New York which I co-own called the Morrison Hotel Gallery. 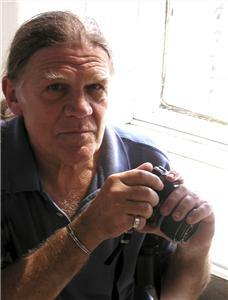 We hit it off and became friends right away as we certainly had similar interests: music and photography. 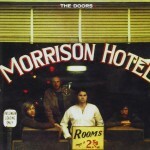 JM: What, to you, is the key to a great album cover photo? HD: I think a good album cover is one that is memorable, one that becomes associated with the music inside. JM: Can you give us an example of an album cover photo that you shot that has a cool backstory? 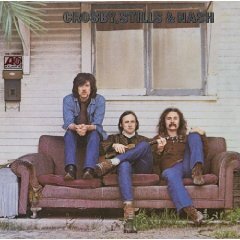 HD: The first album cover for Crosby, Stills and Nash was a photo I took of them on an old couch in front of a small wooden bungalow in West Hollywood in 1969. We were just trying to get a good publicity photo that day but that picture stood out from the rest. The only problem was that they were sitting in the wrong order as they had not yet named themselves. I said, “Let’s just go back and reshoot it in the right order.” We drove back a couple days later and the house was completely gone! So they are forever in the wrong order of their names on their first album cover. JM: One of your photography gigs was Woodstock. What struck you most about those three days of peace, love, and music? HD: At Woodstock I was lucky enough to be working for the producer, Michael Lang, so I pretty much could go anywhere I wanted to take pictures. But the best place was right up on the stage where the music was happening and where the that immense crowd was best viewed. It went as far as the eye could see both left and right. It was the sheer number of like-minded hippy music fans all in that one place and having a great time that was most memorable. That and Jimi Hendrix playing the “Star Spangled Banner” so unexpectedly. JM: Many of the people you’ve photographed are no longer with us – two that jump out to me are Jim Morrison and Jimi Hendrix. What were they like? HD: Both Jim Morrison and Jimi Hendrix were kinda quiet guys. You wouldn’t expect it, but for both, their energy came out on stage. Jim Morrison was a poet and liked to observe life around him in a cool, observant way. Jimi Hendrix was very polite and almost childlike in his manner. Eric Clapton is a quite guy as well. JM: Did taking photos ever feel like a job, or was it more like, “Wow, I can’t believe I get paid to do this”? HD: Taking photos has never seemed like a job to me. It was something I couldn’t stop doing and if I got paid, that was a bonus. It was my way of looking at people and the world was also a good reason to leave my house each day. Mostly I was photographing my fellow musician friends, and they all became famous. JM: Many of your photos are from the Laurel Canyon singer-songwriter era. What was the good, the bad, and the ugly about that scene? HD: Laurel Canyon was a quiet country setting just up the hill from the Sunset Strip. At night you could hear owls and coyotes and maybe a distant guitar. Lots of musicians lived up there for the solitude needed to write songs. And if your car wouldn’t start you could roll all the way down the hill to the gas station. 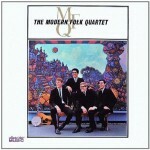 JM: Before you became a well-known photographer, you were part of the Modern Folk Quartet. What are your reflections on that band? HD: During college at the University of Hawaii I started hanging out most nights at a folk music coffeehouse called the Greensleeves. I learned to play the banjo and over a couple years period met many other folk musicians. Several spontaneous bands formed and unformed until eventually 4 of us started putting 4 part harmonies together were thrilled at the sound. In time we came to L.A. and sang at the Troubadour club which was a folk mecca. We got a record deal and spent 5 years touring the country doing college concerts and singing in folk clubs. That is how I met many fellow musicians that I later photographed. JM: What was it like to record with Phil Spector? 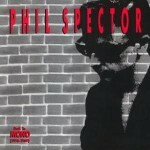 HD: We recorded a single with Phil Spector at a time when he wanted to produce a folk-rock group. He liked our harmonies. The song we did was “This Could Be the Night” written by Harry Nilsson. It was great to have that famous “wall of sound ” backing us. We are on the Phil Spector box set. HD: In order to become a good musician you have to play your instrument all the time… nonstop! You have to wanna do it so bad that you can’t do much else. That’s how you get good. JM: What advice would you give to an aspiring photographer? HD: I tell aspiring photographers to practice on their friends… or family. It’s all about framing things up and/or waiting for that great moment or expression to catch. It’s a way of looking at the world around you. I think it helps if you are interested in the world and life and other people.